I rehab far too many athletes under the age of 18 with ACL tears. 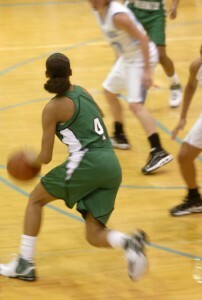 In many cases, I am rehabbing some who have suffered multiple ACL ruptures before they graduate from high school. The burning question is why do so many clients suffer a graft failure or contralateral injury so so often? Is it related to genetics? Is sports specialization to blame? Perhaps fatigue and limited recovery is a problem. I think the answer is multifactorial, but to be perfectly honest we as a profession have yet to truly arrive at a consensus as to when the “right time” to return to play is. Opinions vary widely based on the athlete, sport, native movement patterns, graft choice, additional injuries (ligament, cartilage or soft tissue) and the provider. As a clinician dedicated to both prevention and the best rehab, I am always re-evlauating my own algorithm and rehab techniques, while looking for scientific rationale to direct my exercise selection and decision making processes. A recent paper by Webster and Feller in the November 2016 edition of AJSM looked at subsequent ACL injuries in subjects who underwent their primary ACLR under the age of 20 utilizing a hamstring autograft reconstruction procedure. Every month there are new papers on ACL surgery and rehab appearing in the literature. I do my best to stay up on them as this is one area of my practice I am extremely passionate about. I am driven to understand as much as I can about both prevention and rehab, but find myself increasingly focused on preventing secondary ACL tears in my patients. I feel poor movement patterns, muscle imbalances and inefficient neuromuscular control are major risk factors for athletes suffering a primary ACL tear. We also know being female markedly increases injury risk. Research also tells us that males are more likely to suffer a re-tear of the same side, whereas females are more likely to suffer a contralateral injury. This information is not surprising as I have seen it firsthand in 17 years as a physical therapist. What we do not have much information about is how do the younger patients (e.g 15 and under) really recover from this injury. When should they be cleared? 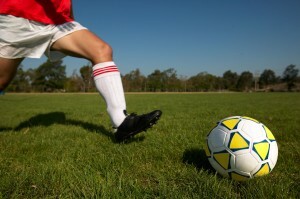 I worked with a young female soccer athlete who tore her ACL and medial meniscus at age 13. She worked diligently with me in rehab 3x/week for about 6 months and then continued training with me at least 2x/week until she was about 1 year out from surgery. Well, Thanksgiving is upon us in 2011. I want to wish you and your family a wonderful holiday. In today’s post I will review a November 2011 article in the American Journal of Sports Medicine that looked at the effect of the Nordic hamstring exercise on hamstring injuries in male soccer players. In this randomized trial, the researchers had 54 teams from the top 5 Danish soccer divisions participate. They ended up with 461 players in the intervention group (Nordic ex) and 481 players in the control group. The 10 week intervention program was implemented in the mid-season break between December and and March because this was “the only time of the year in which unaccustomed exercise does not conflict with the competitive season. The athletes were asked to use their arms to buffer the fall, let the chest touch the ground and immediately get back to the starting position by pushing with their hands to minimize the concentric phase. The exercise was conducted during training sessions and supervised by the coach. The teams were allowed to choose when in training it was done, but they were advised not to do it prior to a proper warm-up program.